At first I was skeptical about this Airtel offer when I saw their official post on facebooking introducing the New Fero F1801 which cost N6000 and just getting the device and Activating Your Airtel Sim on it will Give you incredible offer free from Airtel which Subscribing to it with Such Amount (N6000) can never give you this offer. The offer is that Airtel will Sama You will 36GB + 15,000 worth of Airtime all for free. Although even with the recent Changes to Airtel Data Plan, You cant get a way far better offer like this on Normal Airtel Package. The offer as seen on their official Facebook Page (Airtel Nigeria) states that you can "Get 36GB data + N15000 airtime over 6 months when you get a Fero 180/1 phone for just N6000!" . 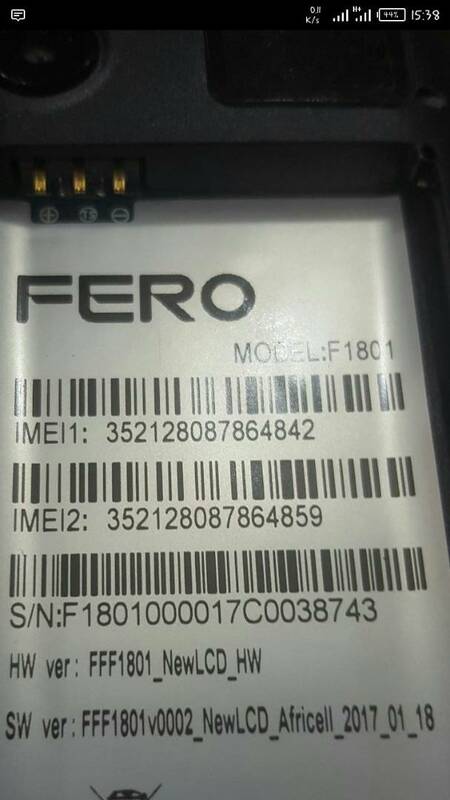 Fero 1801 device comes with 1.8 inches display screen powered by 1000mAh battery and also 32MB Storage Memory which can be further expandable up to 32GB with Micro SD Card. With FM Radio, 1.2MP Rear Camera and Bluetooth 1.0. ✔ Insert Your Airtel Sim and it will be Activated with 36GB and 15,000 worth of Airtime. ✔ No need to send any Code, just wait to get a reply. If lucky you will be given free 36GB Data and 15,000 worth of Airtime for Free. Validity Period is 6 months. No formalities about the offer and importantly after tweaking so many times and you didn't get it, better you purchase the device else you will be wasting your time.